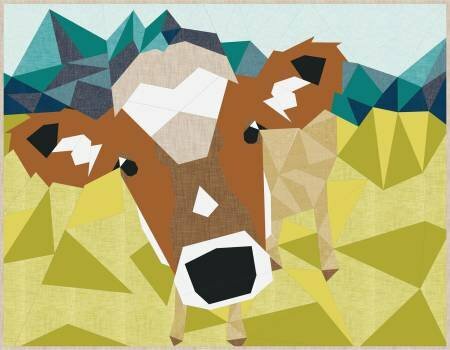 The Cow Abstractions Quilt pattern is a whimsical addition to the Violet Craft Abstractions series. This foundation paper pieced pattern finishes at 54in wide x 42in tall. A template set is included that must be copied for use.